We are proud to announce that KVCL Safety has joined forces with AK Preparedness. KVCL’s team of veteran Chicago firefighters will continue to deliver the same training, drills, and consulting services they’ve been known for since 2000. But KVCL clients will now be able to access a wider range of life safety solutions offered by AK, a national preparedness company. For those looking to expand your emergency preparedness programs, a wide variety of online training, mobile apps, video, and other emergency preparedness services are now available. KVCL Safety is a unique emergency planning and preparation resource. Our experienced staff provides a complete portfolio of critical emergency preparedness information and skills through our seminar presentations, evacuation drills and consulting services. Tony VanBuskirk retired from the Chicago Fire Department in 2012 after thirty-six years of service. He was promoted to Battalion Chief in 1989, Deputy District Chief in 2005, and District Chief in 2010. He was the District Chief assigned to the First District. This district covers the five battalions that encompass the entire central business district. As a Battalion Chief, he was assigned to City-wide Relief. In that capacity he was in charge of every battalion in the city on a rotating basis, meeting the variety of emergencies that can occur in this diverse city. For seven years prior to that, he served as a company officer in various downtown fire companies. He also spent a year in the downtown office of the Fire Prevention Bureau. Tony attended the National Fire Academy in Emmitsburg, MD, and serve as an instructor at the Chicago Fire Academy. Tony is a graduate of Lake Forest College. Leo Cox retired in 2003 as a thirty-four year veteran of the Chicago Fire Department. He was promoted to Battalion Chief in 1999. At the time of his retirement he was assigned as the Battalion Chief of the 9th Battalion. This battalion includes the high-rise structures along the northern portion of the lakefront. As first or second due high-rise chief he responded to any high-rise fire that occurred in the northeastern quarter of the City. Prior to his promotion as Chief, he was a company officer on busy engine companies on the West and South sides of the city. He is a member of the Education Section of the National Fire Protection Association (NFPA). Additionally, he has been certified as a Certified Fire Protection Specialist by the NFPA. He is a graduate of Elmhurst College. Tom Lynch retired from the Chicago Fire Department in 2012 after thirty-six years of service. He was promoted to Battalion Chief in 1989 and Deputy District Chief in 2000. In his position as Deputy District Chief of the 2nd District, Tom was responsible for the operations of six battalions, including those covering the Lincoln Park, Lakeview and the entire North side of Chicago including O’Hare International Airport. Tom was a company officer on Squad 1, the Rescue Company covering the central area of the city. He is a specialist in hazardous materials. He attended numerous courses in hazardous materials operations at the National Fire Academy in Emmitsburg, MD. Tom attended the U.S. Department of Justice’s Incident Response to Terrorist Bombings School in New Mexico. He has conducted numerous building safety surveys and has also given many tenant, staff, and building management fire safety seminars in various cities throughout the United States. Tom is a graduate of Loyola University. 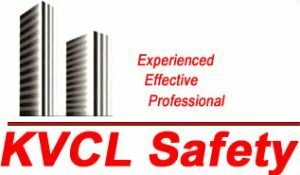 KVCL Safety also employs associate staff members that have all attained the rank of Battalion Chief or above with the Chicago Fire Department. Each of these employees has more than twenty-five years of experience in a multitude of situations providing life safety services to the citizens of Chicago.